The Wild lodge was conceived as a purpose built Eco lodge that would compliment our existing adventure company, The Wild Planet. Our intention with the Wild Lodge has been to create a location that offers a relaxing and pleasant stay within a unique ecologically sustainable environment and provides first class programs, first class instruction and first class equipment. From the lodge we can offer a number of unique adventure programs, we also have a comprehensive list of training and certification courses that can be run both in house and by specialist guest instructors. Some courses are for the individual seeking to improve or learn new outdoor skills, others are aimed at outdoor professionals, teachers and coaches wishing to further their professional development. 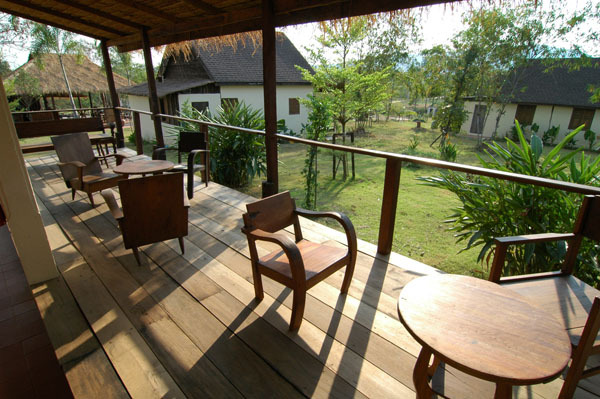 The lodge is not a Resort open to walk in clients, however the lodge can be rented by groups or individuals wishing to either have a unique tailor made adventure experience, or use the lodge as a unique venue to hold a special celebration or meeting. The Wild Planet began operating adventures in February 1995 and we have over the last 14 years built a reputation for offering safe, fun and exciting adventure programs for Schools, colleges and corporate groups all over Thailand. Since 1995 we have successfully run hundreds of activity-based trips throughout Thailand both water and land based and thousands of students, adventurers and groups have participated in our programs.